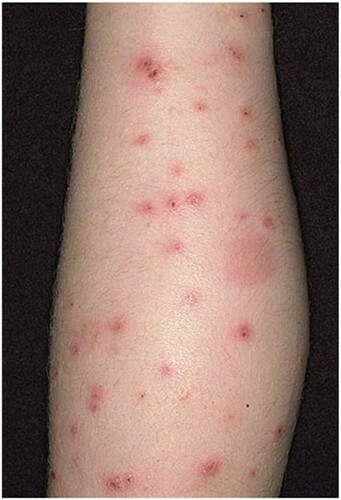 Bed bugs are parasites that preferentially feed on humans. If people aren't available, they will feed on other warm-blooded animals, including birds, rodents, bats, and pets instead. Bed bugs have been documented as pests since the 17th century. They were introduced into our country by the early colonists. Bed bugs were common in the United States prior to World War II, after which time widespread use of synthetic insecticides such as DDT greatly reduced their numbers. Improvements in household and personal cleanliness as well as increased regulation of the used furniture market also likely contributed to their reduced pest status. 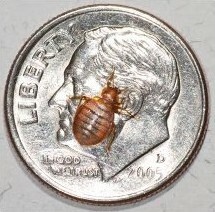 Adult bed bugs are brown to reddish-brown, oval-shaped, flattened, and about 3/16 to 1/5 inch long. Their flat shape enables them to readily hide in cracks and crevices. The body becomes more elongate, swollen, and dark red after a blood meal. Bed bugs have a beak-like piercing-sucking mouthpart system. The adults have small, stubby, nonfunctional wing pads. Newly hatched nymphs are nearly colorless, becoming brownish as they mature. Nymphs have the general appearance of adults. Eggs are white and about 1/32 inch long. Female bed bugs lay from one to twelve eggs per day, and the eggs are deposited on rough surfaces or in crack and crevices. The eggs are coated with a sticky substance so they adhere to the substrate. Eggs hatch in 6 to 17 days, and nymphs can immediately begin to feed. They require a blood meal in order to molt. Bed bugs reach maturity after five molts. Developmental time (egg to adult) is affected by temperature and takes about 21 days at 86° F to 120 days at 65° F. The nymphal period is greatly prolonged when food is scarce. Nymphs and adults can live for several months without food. The adult's lifespan may encompass 12-18 months. Three or more generations can occur each year. Source: Ohio State University Extension Fact Sheet-EntomologyKeith L. Smith, Associate Vice President for Ag. Adm. and Director, OSU Extension. Where Do I Find Bed Bugs? Bedbugs are flat, oval, brown insects. They are found in many environments including: homes, apartments, condos, dorm rooms, motels, and even on cruise ships. As they feed, their flat bodies expand and turn reddish in color. The adult is about the size of an apple seed and can live for more than a year without eating. During the day, they hide behind baseboards and pictures, in bed frames, furniture, wallpaper, mattresses, blankets, pillows and sheets. Bedbugs tend to settle in close proximity to their food source - humans! They come out at night, attracted by the breath and body heat of their food source. Bedbugs can spread from room to room, using clothing, and other personal belongings. The potential hiding places for bedbugs are numerous. It is, however, common for them to nest in the furniture that a person sleeps and naps on, including upholstered chairs, loveseats, sofas, plush furniture, futons, etc., as well as other non-traditional beds such as camping cots, floor pads, hide-a-beds, bean bags, strollers, cradles, etc. Bedbugs will attempt to nest in any of these structures if given the opportunity and will take cover in nearby areas as well. Unchecked, bedbugs will eventually expand their overall nesting locations into nearby furniture such as dressers or nightstands, in drawers, in the cracks of picture frames, in screw or nail holes, bedroom fixtures and behind mirrors, etc. Hotels, Motels, Hospitals, Long Term Health Care Facilities, Apartment Managers/Owners, Colleges and Universities, Furniture Rental Companies, Day Cares, Public Storage Facilities, and Homeowners can now benefit from the extremely accurate detection of bed bugs that only a bed bug detection dog can offer. California based Knott’s Pest Control, Inc. introduces their newest service providers, Molly & Belle. Molly and Belle are two of California’s few highly trained bed bug detection dogs. Molly & Belle demonstrate the latest technique and international trend for finding bed bugs in institutions, homes and other businesses. "By contacting the services of Knott’s Pest Control Inc.’s Certified Bedbug Detection Teams, institutions can accurately locate and treat all infested areas and can say they have done their due diligence." The general public can feel at ease when spending the night in a hotel, and home buyers and renters can feel comfortable that they are moving into a house that is free of this nuisance. 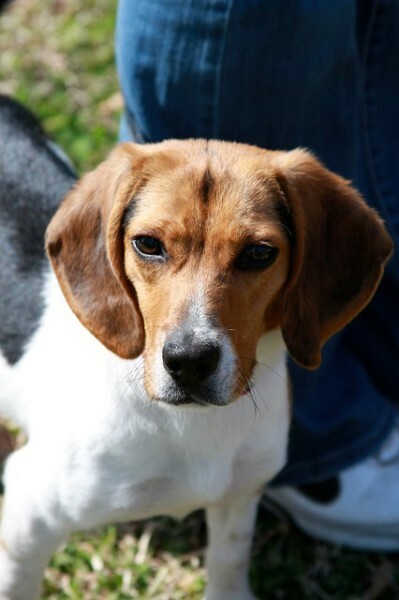 Molly and Belle are rescue dogs obtained from the Shelby, Alabama Humane Society and initially trained by David, Kathy and Jim Latimer, FSI K9 Academy in Vincent, AL. Our Handler/K9 teams have been certified through the World Detector Dog Organization (WDDO). Molly and Belle have completed more than 800 hours of training, and have a 90% or higher accuracy rating in locating bed bugs. 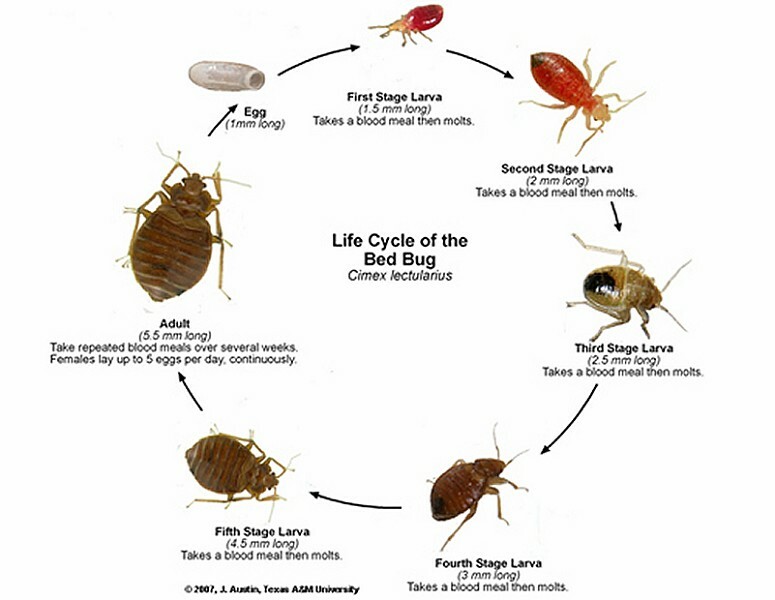 Normally, a trained pest control management professional can only detect visible signs of bed bugs during the later stages of their life cycle. In the early stages, they are almost invisible to the naked eye. 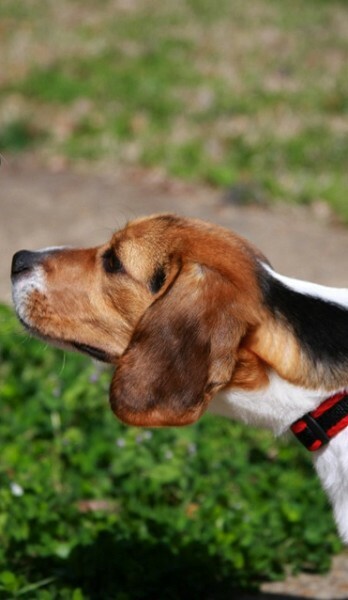 Due to a dog’s keen sense of smell, Molly and Belle can detect bed bugs during their early stages, as well as behind walls, under carpet, and in furniture, thus making their inspections more thorough and much more accurate. More accurate detection means that if there is bed bug activity, Molly and Belle will alert us to it and control measures can begin. Knott’s will tailor a specific inspection/detection plan for your property. We provide Emergency/On-call services, bimonthly, quarterly and semi-annual PRO-active schedules, as well as vacancy/property turnover (home sales, rental turnover, dorm turnover, etc.) inspection/detection. In the case of hotels and apartments, if a law suit is initiated by someone allegedly bitten in one of their units, the management can show that they have gone the extra mile by bringing in a canine unit to inspect, and that they have done their due diligence to ensure their guests or tenants are in a pest free environment. The last thing any business needs is bad publicity or unnecessary legal litigation headaches. Knott’s has been in the Pest Control business for more than 29 years. 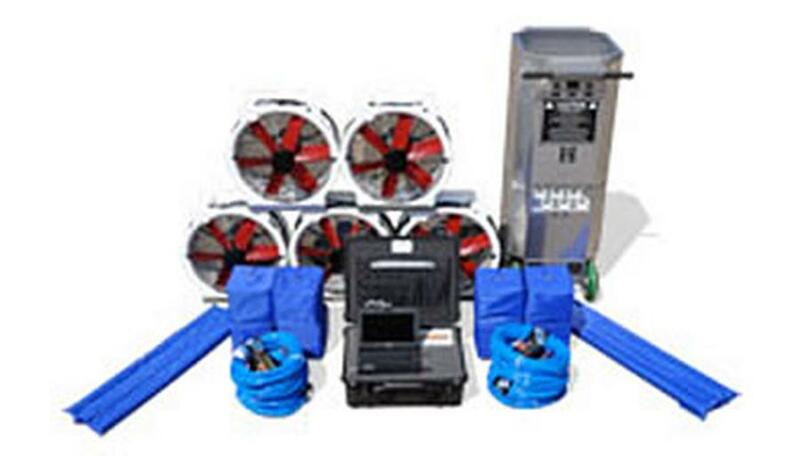 We employ the latest in technology for the safe, efficient and guaranteed elimination of these pests. We use Sterilization and Heat Treatment Techniques (Thermal Remediation by Temp Air) to kill bedbugs right where they hide. The thermal death point for the common bedbug is 113°F, and all stages of the insects are killed by timed exposure to 115°F. Knott’s uses Thermal Remediation and specific staging techniques to heat the room to temperatures of 120°F -130°F. This effectively kills all stages of bedbugs and their eggs, Guaranteed. We Warrantee ALL of our work. 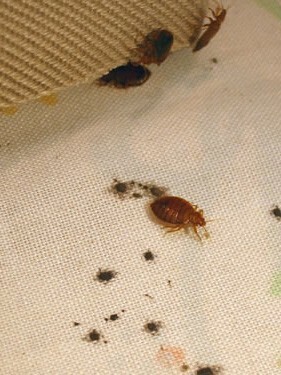 We Will Eliminate your Bedbugs! We are Licensed, Certified and Bonded Pest Control Professionals. We can locate bedbug infestations and provide efficient, cost effective treatment and maintenance. Our inspectors can confirm an infestation, provide a treatment plan, and arrange treatment in just one visit. Leslie Fox and her husband had stayed at the Nevele Grand Resort and Country Club in Ellenville, N.Y. for three nights when she woke with bites all over her body. Lawsuits from biting victims are on the rise. One victim sued and won a $382,000 judgment against a U.S. hotel chain. 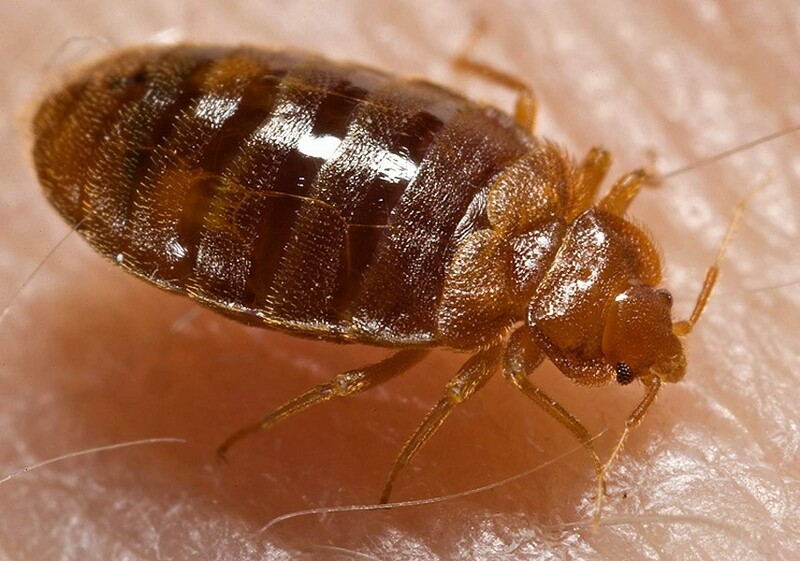 Illinois jury’s 37:1 punitive damage award in bed bug lawsuit upheld. More than 37 times compensatory damages of $10,000.00. A Fox News employee suffering from "post-traumatic stress syndrome" has filed a lawsuit against the owners of the network's building for failing to adequately rid the premises of the source of her mental anguish -- bedbugs. 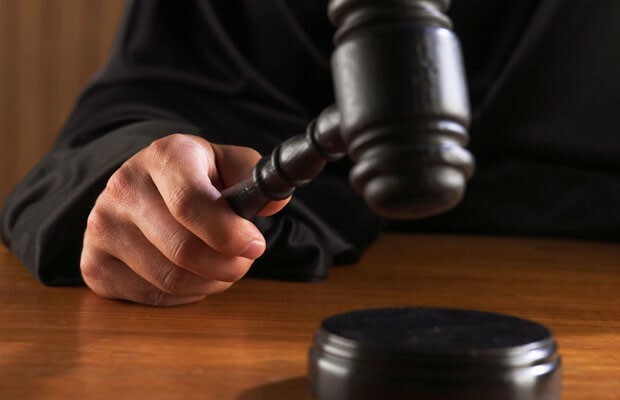 A woman spent two nights in a Hilton in Ohio, got 150 bed bug bites, and is proceeding with a $5 million dollar lawsuit charging physical scarring, emotional distress, and embarrassment. 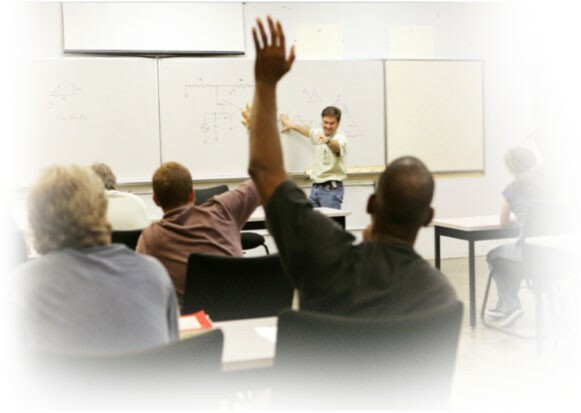 Hospitality Industry – Educate your staff! Housekeeping, Facilities Maintenance, Laundry Facilities, Front Desk: Know what to look for, signs of activity, WHAT TO DO when you find bedbugs, WHAT NOT TO DO in order to prevent spreading the infestation. Rental Property/Landlord/Investment Property Owner/Dormatory/Etc. – Educate your tenants! Protect yourself from unwanted litigation by taking a pro-active approach to bedbugs. Educate your tenants on what to look for, what to avoid, etc.